When you begin to create your first website with Wordpress, you may be confused by the different features you find. By far, the most common question is "What is the difference between pages and posts?". Pages and Posts are both key components of a WordPress site. Neither are mandatory, meaning your site can consist of either all posts, or all pages. Below are specific explanations of both content types. Posts are treated much like digital entries into a journal. They are listed on either your Home page or another page you specifically dedicate to display them. Posts are also listed starting with the most recent and continuing in reverse order with the oldest post as the last one. They can also be segregated in to categories and use tags for identification. Posts are usually used as a way to add content at intervals, and can be used as simple announcements, chapters of a story, news stories, reviews, etc. Posts are also included in RSS feeds and are broadcast to subscribers when they are added. Posts can include the same type of content that pages can use. 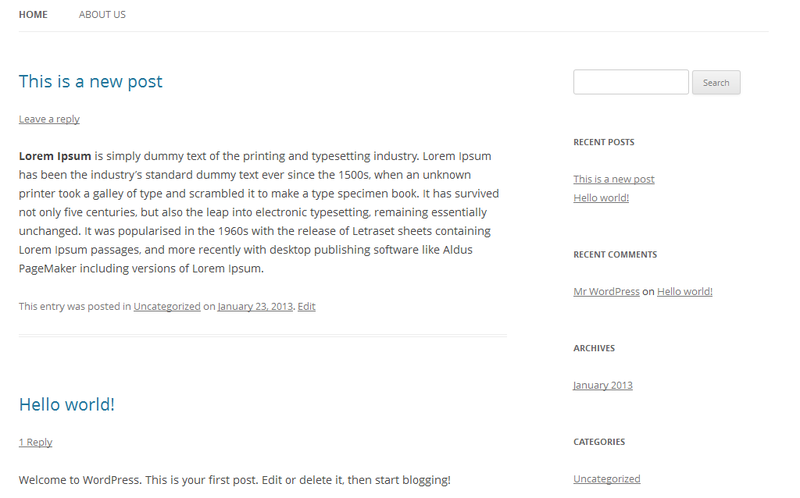 You can read more in our full article How to Create a Post in WordPress. Pages are areas of content that, unlike posts, are not listed in any chronological order, nor do they have a specific page that lists them by default. Pages are normally used for creating content that does not decay, or is not time sensitive. Information on pages is often referred to as 'static content'. A simple example of a page would be an About page. An about page has content that does not get old or outdated, and it stays on your site in a 'static' position. Pages can be updated just like posts and can use the same types of content as posts. 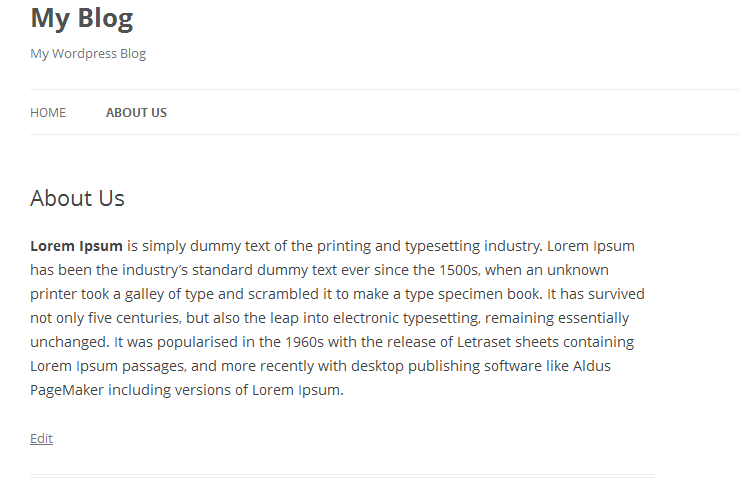 For more information see our full article How to Create a WordPress Page.